Sony has gone on the record to reveal that it is currently working on the PS4’s successor. The revelation was made in an interview with Sony boss Kenichiro Yoshida and the Financial Times. Sony didn’t confirm if the successor would be called PlayStation 5, but that’s likely to be it’s name. Given that the PS4 is close to being 5 years old, it makes sense that Sony has started working on the next-generation version. According to FT’s sources, early indications suggest that the PS5 might have a very similar architecture to the PS4. 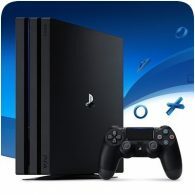 And there were rumours flying around this week that the PS5 would support full backwards compatibility with PS4 games. Microsoft are revealed that it’s working on the next generation Xbox Console, and there are indications that Nintendo are planning to release a hardware revision to the Nintendo Switch in 2019.